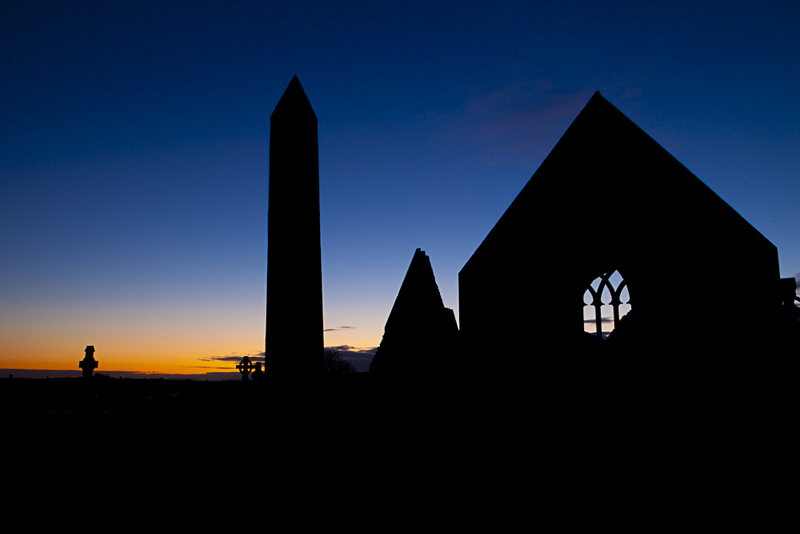 The Kilmacduagh Monastic Site is one of the jewels of the West of Ireland. It exudes peace and tranquillity. 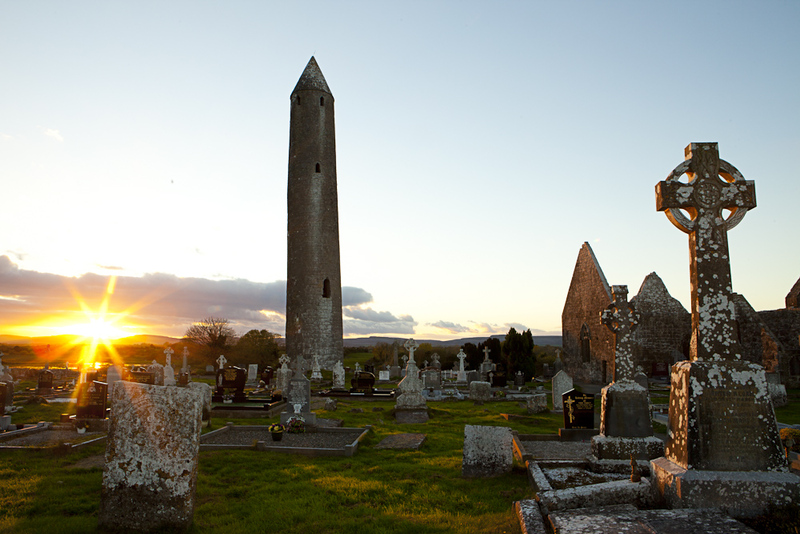 Set against the backdrop of the Burren Mountains, this site has the highest Round Tower in Ireland. 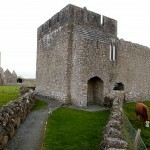 It is Ireland’s Pisa, as it leans two feet from the perpendicular. 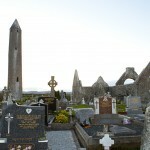 There are the ruins of seven churches and an abbot’s house. 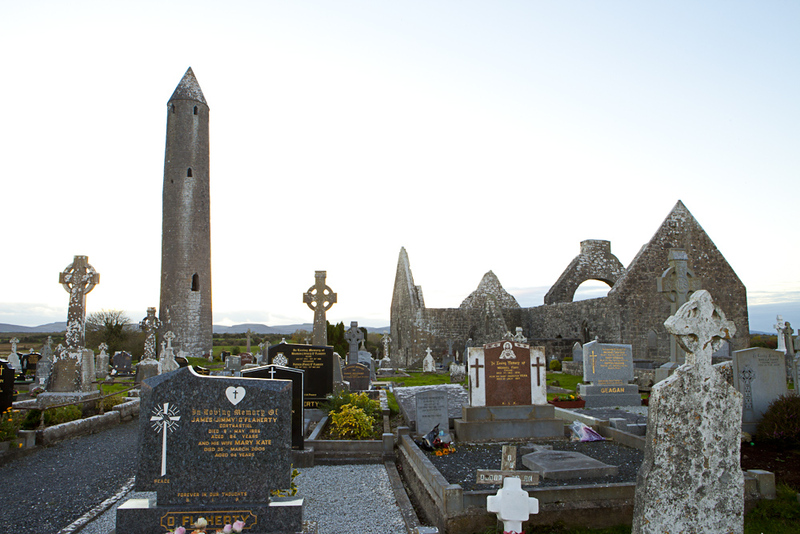 The cemetery contains the grave of St. Colman, patron of the diocese of Kilmacduagh and founder of a monastery here in the seventh century. 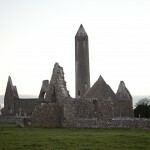 In 1879 Sir William Gregory of Coole Park, Gort agreed to finance the restoration of the Round Tower regarding which he had written from Ceylon in 1872. 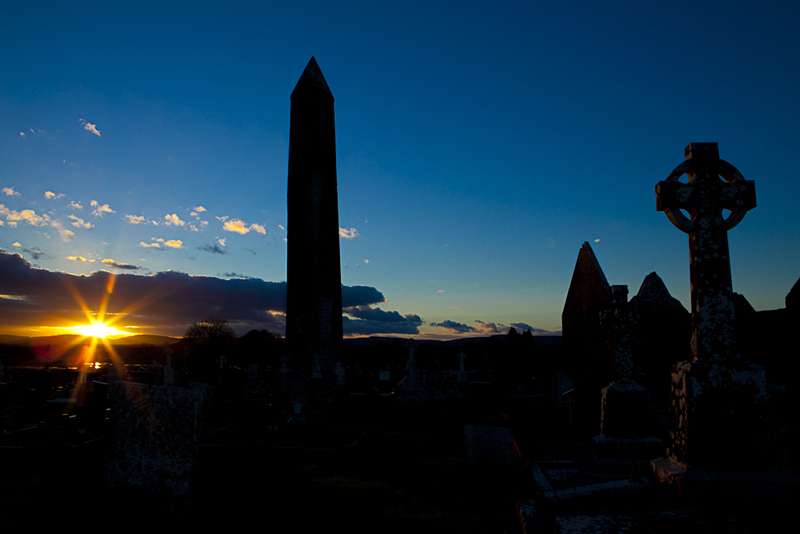 Kilmacduagh deserves to be known better; visitors “stumble” upon this place and are enthralled by its beauty. 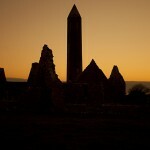 Kilmacduagh was founded in the seventh century by St. Colman, son of Duach and Rioghnach. He was born in Corker, Kiltartan in the parish of Gort. 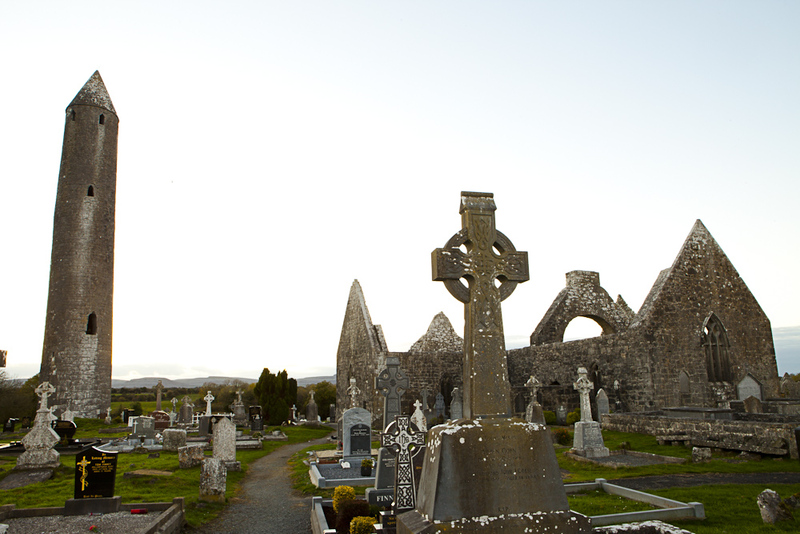 He spent the earlier part of his life in Aran and as a hermit in the Burren. There are many legends told about his miraculous deeds and several Holy Wells with curative powers bear his name. Colman belonged to the ruling family of Fiachrach Aidhne. 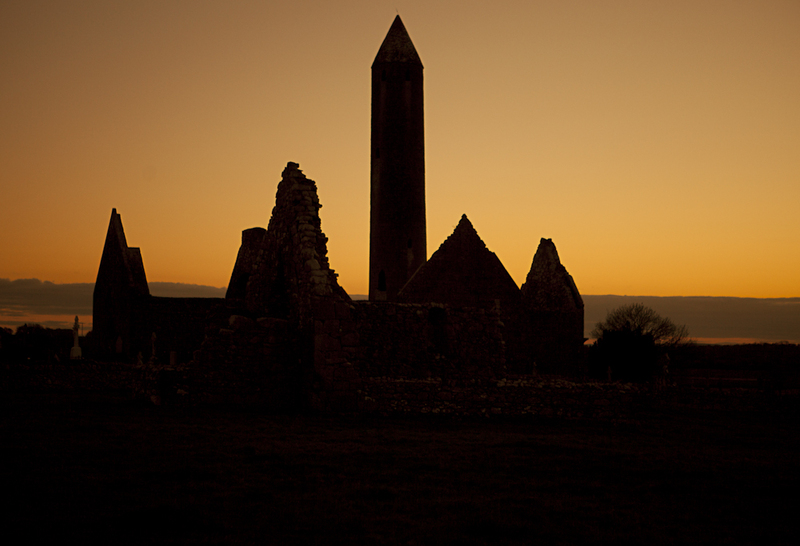 Around 610 A.D. his kinsman, King Guaire, granted him land in Kilmacduagh where he built a monastery. 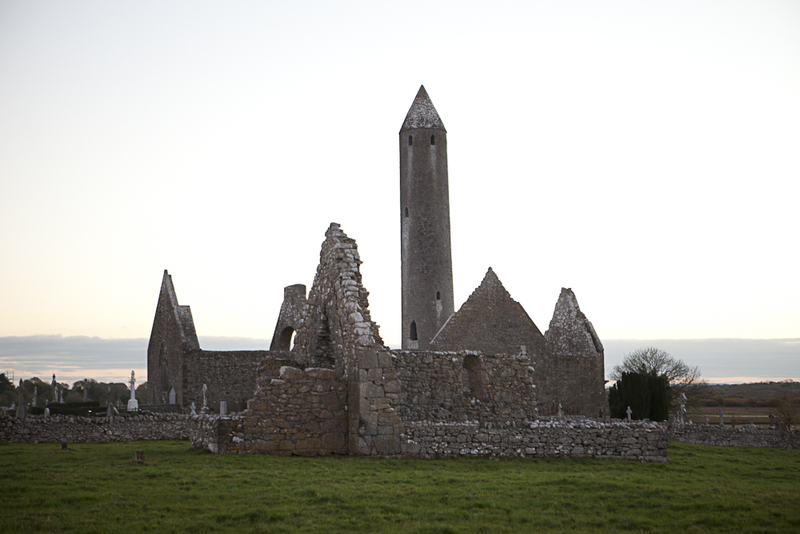 The original buildings have not survived but the ruins of Kilmacduagh remain among the most important and imposing sites in Ireland. 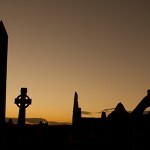 The cemetery contains the grave of St. Colman, patron of the diocese, who died in 632 A.D. 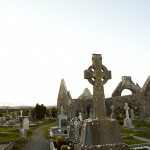 The Monastic Ruins, often referred to as The Seven Churches. 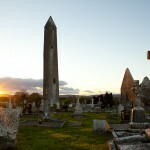 • Round Tower: This is the highest Round Tower in Ireland, being 120 ft. high. 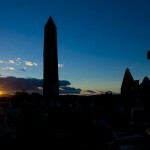 It is Ireland’s Pisa as it leans at least two feet from the perpendicular. It probably dates to the tenth century and tradition says that the builder was the legendary tradesman, the Goban Saor. 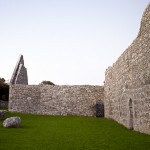 At the behest of Sir William Gregory of Coole Park, renovations which included the restoration of the cap and the addition of a lightning conductor, were carried out by the Board of Works in 1878/9. The Tower was again repaired in 1971. 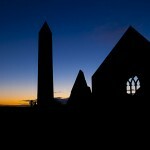 • Cathedral: The oldest part of Teampaill Mor Mac Duagh is the west gable. Later additions were the south transept, Our Lady’s Chapel and the north transept, the O’Shaughnessy Chapel, named after the local ruling family. • Glebe House: Seancloch is a large two-storey ,castellated structure standing north of the cathedral. It was the bishop’s or abbot’s house. 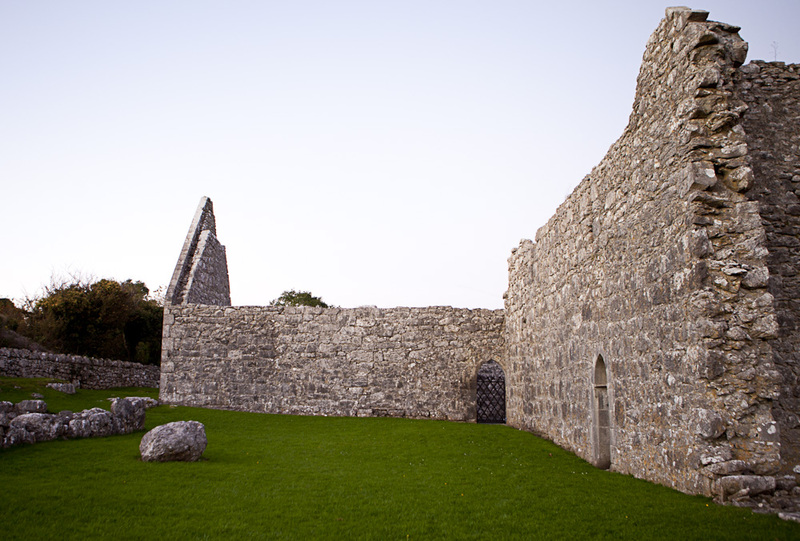 • O’Hynes Abbey: This is a beautiful thirteenth century building which stands apart from the other ecclesiastical ruins. 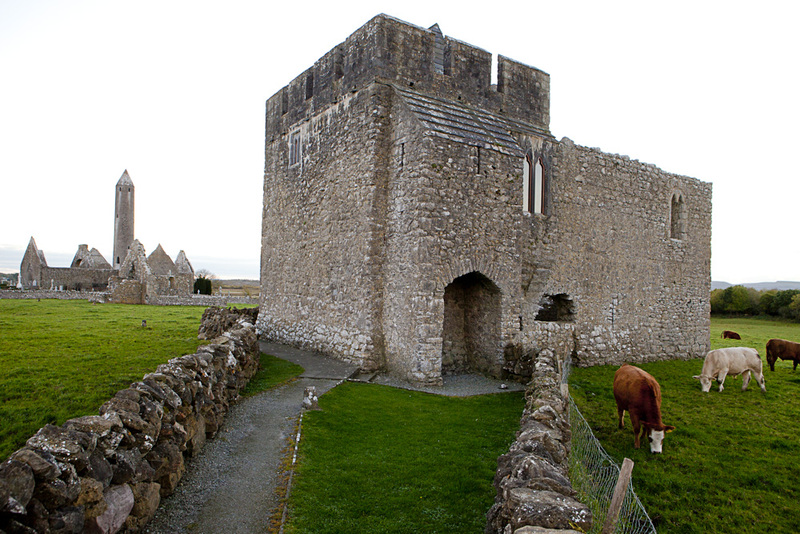 • Other Ruins: Teampaill Mhuire, situated across the road; St. John the Baptist Church and Teampaill Beg Mac Duach. Three miles SW of Gort on R 460.